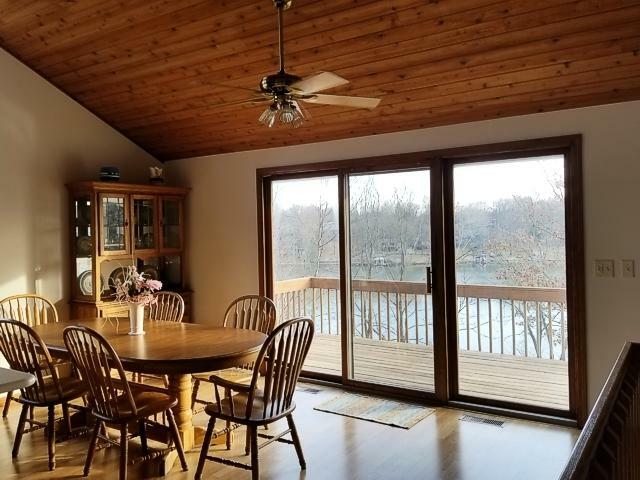 Lake Wildwood; Varna, IL A private recreational lake community less than 2 hrs from Chicago suburbs. Wind down in comfort! 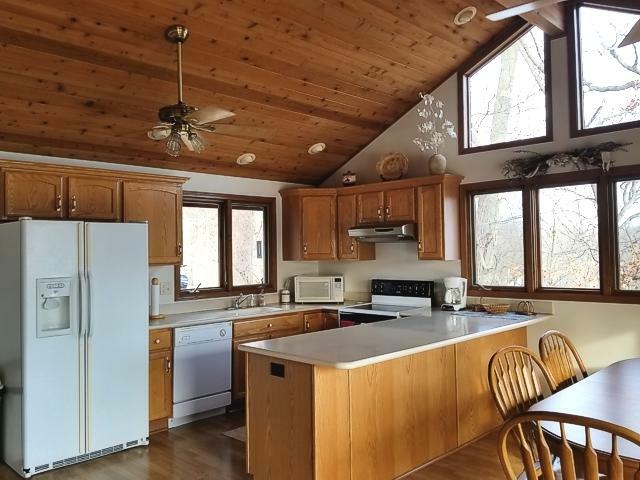 Charming lakefront chalet features beautiful lake views, gleaming knotty pine cathedral ceiling, open kitchen, dining, living area with large adjacent lakeside deck, 4 bedrooms, 2 full baths, loft overlooking living area, and spacious family room with adjacent patio. Lakefront improvements include steel seawall, decks, docks, boatlift, and firepit. 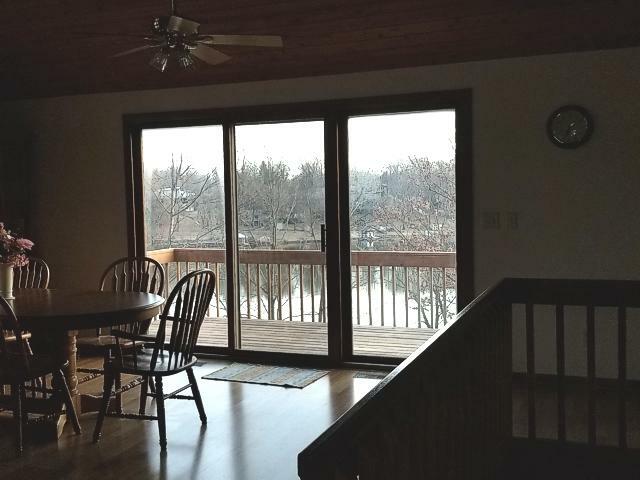 Appliances and Furniture included. Many updates. New roof 2017. 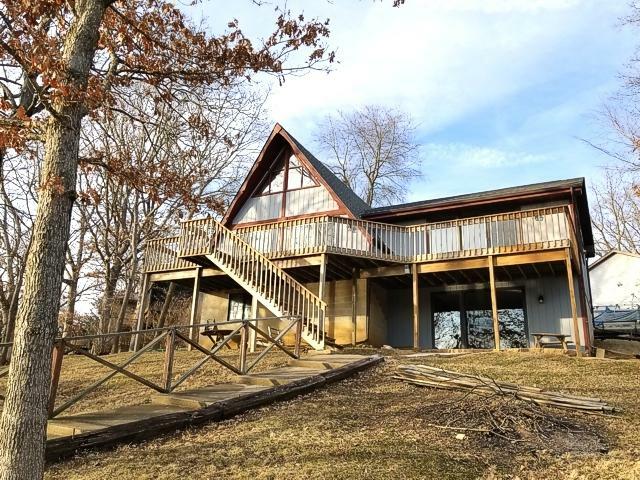 Association dues of $800/yr includes access to amenities; 218 acre stocked all sports lake, 14 acre stocked "fishing" lake, 2 beaches, pool, sports areas, clubhouse, pavilions, picnic areas, playgrounds, hiking area, activities, and 24/7 gated entry. Pass required to view property.